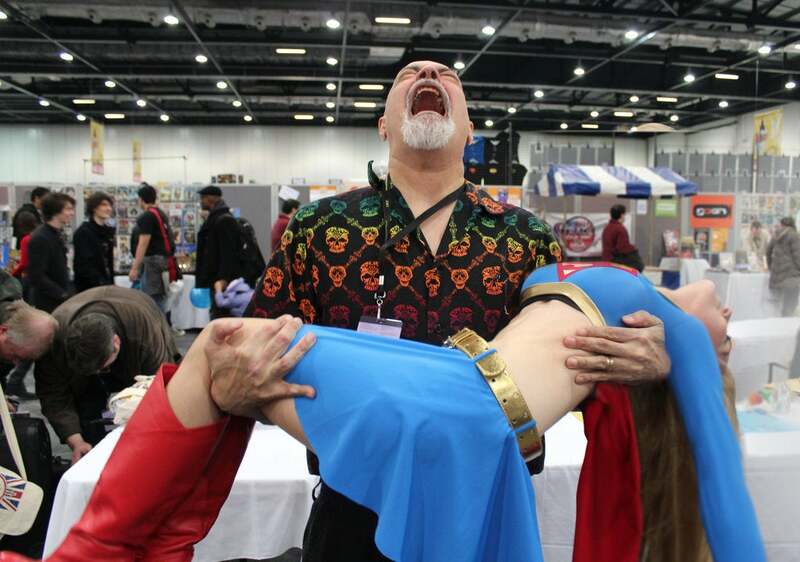 George Pérez is the award-winning artist behind The New Teen Titans and Crisis on Infinite Earths, as well as more recent runs on Superman and Worlds' Finest. It's also his birthday today, which makes this article timely, right? That's what I thought. 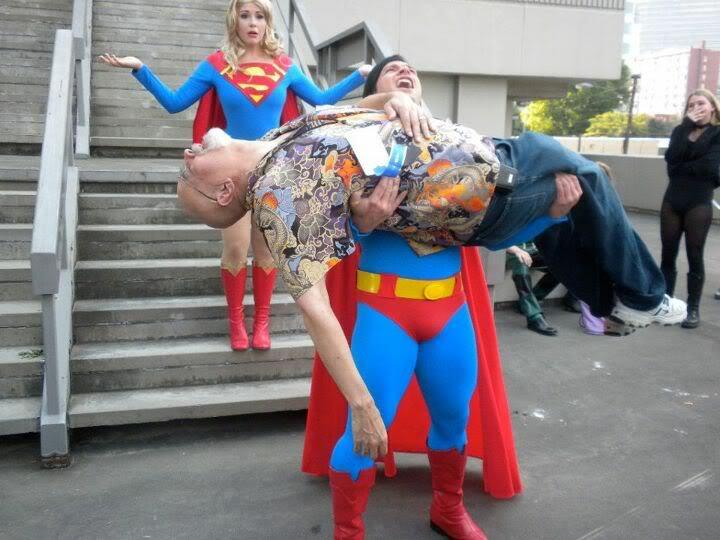 He's also a convention circuit favorite, with a larger-than-life personality and, apparently, a willingness to jump right into the fun with fans. Earlier today, a photojournalist friend sent along a Facebook note telling me, "This is the coolest thing I've seen today. I think this is right up your alley." 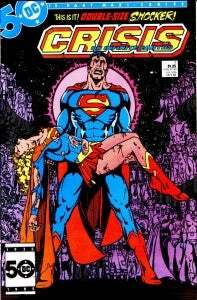 When I clicked through to the thread in question, the image I saw was Pérez, holding the "corpse" of a Supergirl cosplayer and howling at the sky, in a riff on Pérez's own classic cover to Crisis on Infinite Earths #7. You can see the cover at right, and the image I was sent on Facebook directly below. 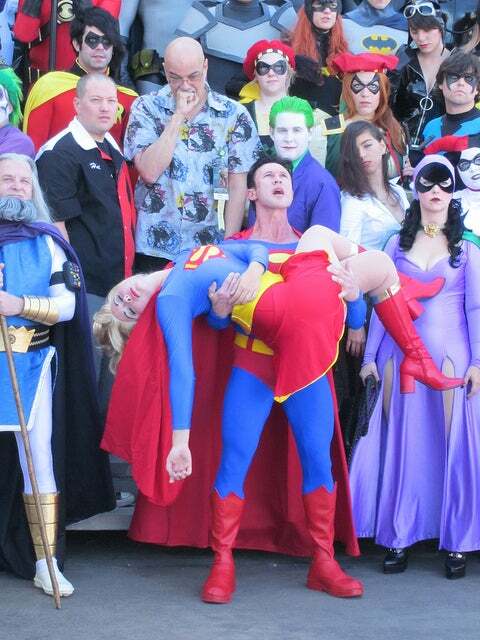 Of course, the first thing I thought of was, "That can't possibly be the first time he's done this, right? 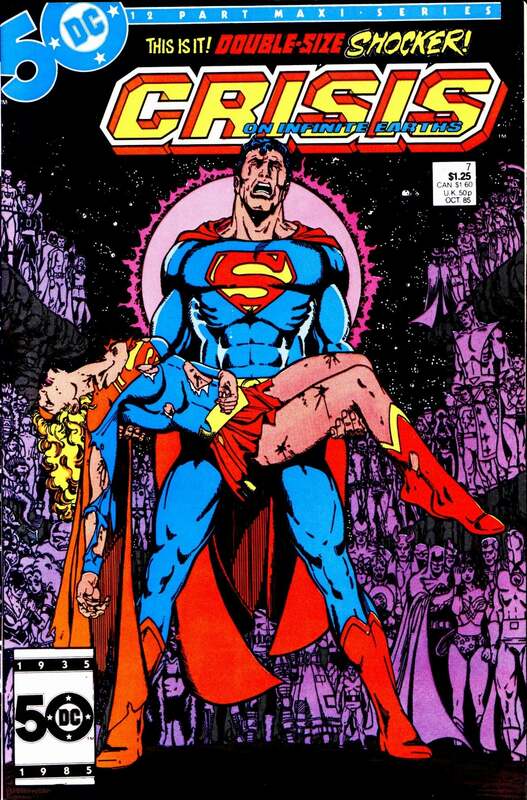 After all, that cover is one of the most frequently riffed-upon images in comics history. A quick Google search determined I was right, and while we'll spare you most of them since it's really just a lot of the same, there were a couple of others that stuck out.